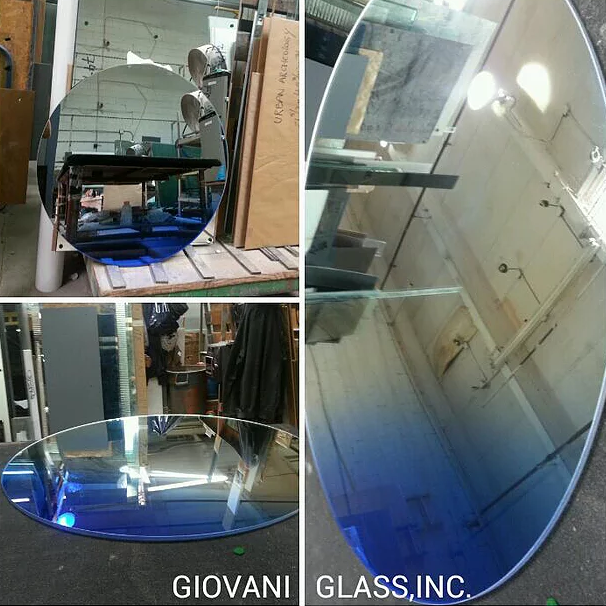 gradient mirror is safety laminated glass/mirror with color gradient effect. we can custom laminated gradient glass in variety of colors and sizes. Available Thicknesses: 1/4”, 3/8”, 1/2”. Contact us to request a custom color and thickness.